Chris Brown just got smacked down. Before some start rejoicing in harm coming towards the convicted woman beater, it was more of a moral takedown. His planned Dec. 26 concert in Guyana was canceled after women’s groups expressed outrage over the performance. Brown was convicted in 2009 of assaulting his ex girlfriend, R&B superstar Rihanna. He was sentenced to 5 years probation and ordered to do community service but that hasn’t quelled the appetite of a still hungry public who want his pound of tattooed flesh. It doesn’t matter how many years it’s been or how many albums he’s sold. To many, Chris Brown remains the same man who pounded his fists into Rihanna’s skull and nearly choked her to death. No one had to use their imagination since TMZ leaked the pictures of the brutality Brown inflicted. Since then, Rihanna has forgiven Chris. They’ve recorded three songs together. Rihanna even admitted to Oprah that she still loves Chris and that he was the love of her life. At the present time, she’s in Berlin with him as he tours. Quite a few people think Rihanna needs a prayer circle or therapy. Perhaps, both but these are her unapologetic choices even though John Q. Public thinks they know better. The protests from those in South Africa are just the latest reminders that all is not forgiven and forgotten. Earlier this month, photos of beaten Rihanna were used to protest Chris’ concert in Sweden. On Halloween, he dressed up as a terrorist and his ugly past was once more rubbed in his face and he publicly feuded with Miranda Lambert when he was awarded a Grammy in February. She didn’t feel a woman beater should be rewarded or celebrated. 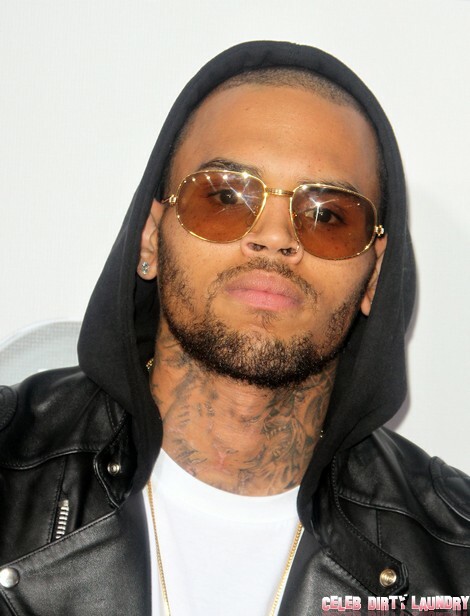 For his part, Breezy’s team has denied that any blowback caused him to cancel, insisting in a statement that he was never scheduled to perform and that the promoter was lying. An all caps twitter rant is probably soon to follow with Chris questioning why everyone is picking on him; Charlie Sheen and Sean Penn have done worse and they’re still considered great. Why is he the exception? It may have to do with race, or it could just be his continued obnoxious, violent, bullying, and criminal behavior. Whatever the case, he’ll always be identified as a woman beater. That’s not a judgment or double standard rearing its head. It’s just a fact. Rihanna and other Celebs Run Back to Abusive Relationships — Why?